In the halls of orthodox academia, his reputation precedes him. His name is Friedrich Nietzsche. 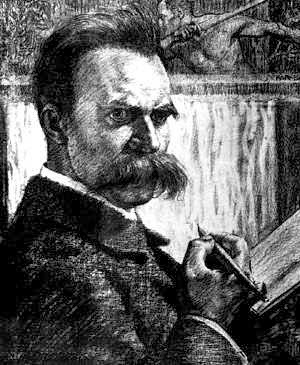 Friedrich Wilhelm Nietzsch (15 October 1844 – 25 August 1900) was a German philologist, philosopher, cultural critic, poet and composer. He wrote several critical texts on religion, morality, contemporary culture, philosophy and science, displaying a fondness for metaphor, irony and aphorism. Enraptured by his vitriolic hatred for Christianity, and his enshrinement of moral anarchism, academia has consistently defended Friedrich Nietzsche as one of history's so-called "misunderstood" philosophers. Many have argued that Hitler somehow "misrepresented" or "distorted" Nietzsche's ideas. Is this genuinely the case ? Of course, during their migration from abstraction to tangible enactment, ideas can become contaminated by any number of factors. To be sure, internal contention amongst adherents, the personal idiosyncrasies of individual analysts, and the manifestly unpredictable nature of reality itself makes an idea's journey towards tangible enactment very problematic. Yet, was Nietzsche's journey toward tangible enactment so bastardized by Hitler that it was virtually unrecognisable ? Was National Socialism nothing like what Nietzsche had in the mind ? In 'The Rise and Fall of the Third Reich', William Shirer recounts Hitler's frequent sojourns to the Nietzsche Archiv in Weimar. 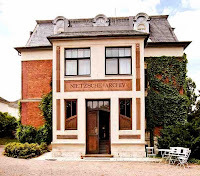 The Nietzsche-Archiv was the first organization that dedicated itself to archive and document the life and work of the philosopher Friedrich Nietzsche. 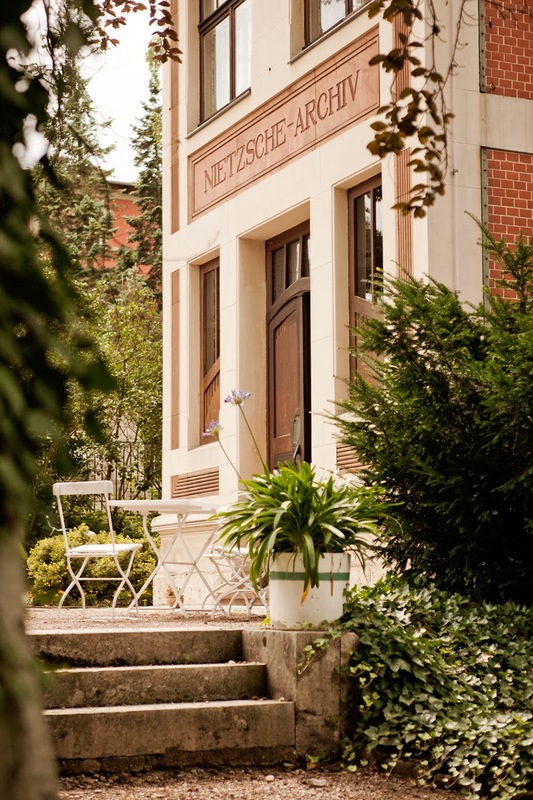 The Nietzsche Archive was founded in 1894 in Naumburg, Germany, and found a permanent location at Weimar. Its history until the middle of the 20th century was closely tied to its founder and chief for many years, Elisabeth Förster-Nietzsche, the philosopher's sister. 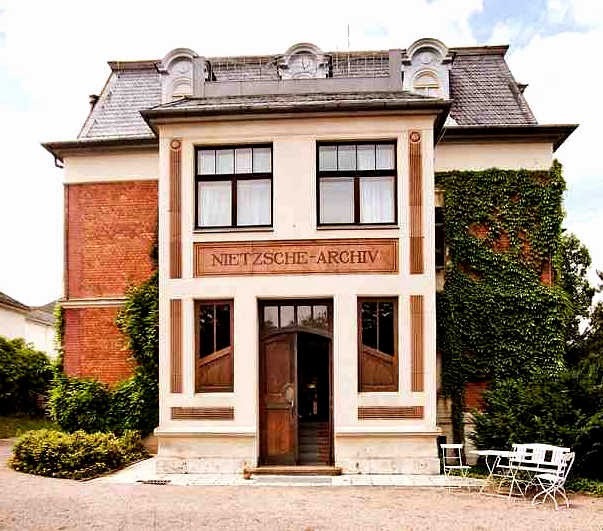 The Archiv was, until the end of the Second World War, a location of central importance for Nietzsche's reception in Germany. 'There was some ground for this appropriation of Nietzsche as one of the originators of the Nazi Weltanschauung. Of course, many apologists for Nietzsche argue that the criterion for defining the Übermensch was neither racial nor hereditary, however, Nietzsche frequently espoused eugenic concepts, which suggests that he did invest significant value in race and hereditary. 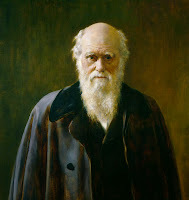 "Society as the trustee of life is responsible to life for every botched life that comes into existence; and as it has to atone for such lives, it ought consequently to make it impossible for them ever to see the light of day: it should in many cases actually prevent the act of procreation, and may, without any regard for rank, descent, or intellect, hold in readiness the most rigorous forms of compulsion and restriction, and, under certain circumstances, have recourse to castration ... 'Thou shalt do no murder,' is a piece of ingenuous puerility compared with 'Thou shalt not beget !!!' ... The unhealthy must at all costs be eliminated, lest the whole fall to pieces." 'Zur Genealogie der Moral' (On the Genealogy of Morals) , subtitled 'Eine Streitschrift' (Polemic) , was written, and first published in 1887 with the intention of expanding and following through on certain new doctrines sketched out in his previous book 'Jenseits von Gut und Böse: Vorspiel einer Philosophie der Zukunft' (Beyond Good and Evil). The book is considered by some Nietzsche scholars to be a work of sustained brilliance and power as well as his masterpiece. It consists of a preface, and three interrelated 'Abhandlungen' ("treatises" or "essays"), which trace episodes in the evolution of moral concepts with a view to undermining "moral prejudices", and specifically the morality of Christianity and Judaism. 'Jenseits von Gut und Böse: Vorspiel einer Philosophie der Zukunft' is a book by philosopher Friedrich Nietzsche, first published in 1886. It draws on and expands the ideas of his previous work, 'Also Sprach Zarathustra', but with a more critical and polemical approach. In 'Jenseits von Gut und Böse' Nietzsche accuses past philosophers of lacking critical sense and blindly accepting dogmatic premises in their consideration of morality. Specifically, he accuses them of founding grand metaphysical systems upon the faith that the good man is the opposite of the evil man, rather than just a different expression of the same basic impulses that find more direct expression in the evil man. 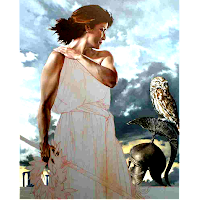 The work moves into the realm "beyond good and evil" in the sense of leaving behind the traditional morality which Nietzsche subjects to a destructive critique in favour of what he regards as an affirmative approach that fearlessly confronts the perspectival nature of knowledge and the perilous condition of the modern individual. Context is a critical factor to understanding Nietzsche's philosophy. Nietzsche's reference to the sick, their vengeful attitude and conspiracy, and in related writing, the Jews, parallels the concepts and terminology used in Hitler's 'Mein Kampf'. 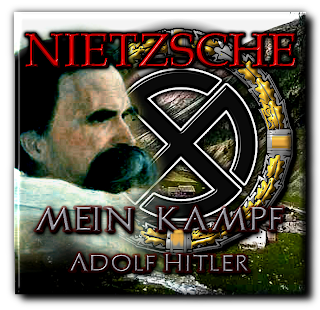 The anti-Semitic interpretation of Nietzsche's work, however, did not begin with Hitler. 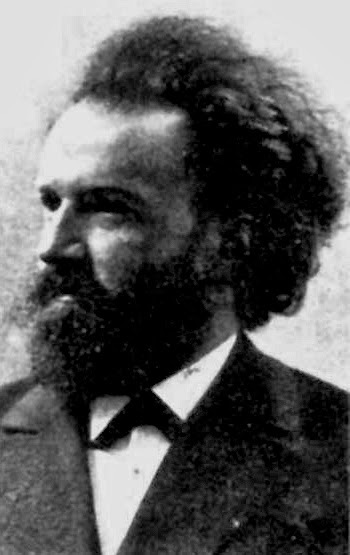 What Nietzsche's biographer Walter Kaufmann calls the "legend of Nietzsche" was constructed mostly by Nietzsche's sister, Elisabeth Förster-Nietzsche, through two interventions: by editing Nietzsche's work to emphasise anti-Semitic aspects, and to reconcile Nietzsche's work with Richard Wagner's. Therese Elisabeth Alexandra Förster-Nietzsche (July 10, 1846 – November 8, 1935), who went by her second name, was the sister of philosopher Friedrich Nietzsche and the creator of the Nietzsche Archive in 1894. Förster-Nietzsche was two years younger than her brother. 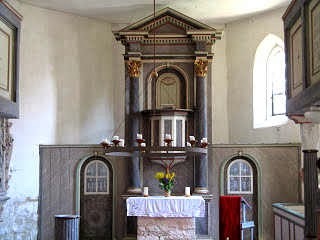 Both were children of a Lutheran pastor in the German village of Röcken bei Lützen. As brother and sister they were close during their childhood and early adult years - and there is speculation that their relationship was in some ways not entirely appropriate. Friedrich Nietzsche's mental collapse occurred in 1889 (he died in 1900), and upon Elisabeth's return in 1893 she found him an invalid whose published writings were beginning to be read and discussed throughout Europe. 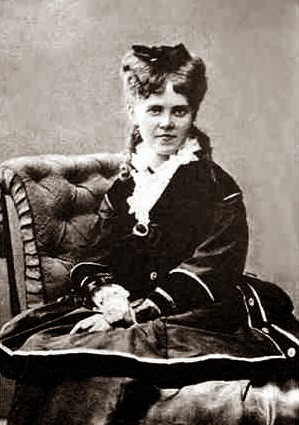 Förster-Nietzsche took a leading role in promoting her brother. Walter Arnold Kaufmann (1 July 1921 – 4 September 1980) was a German-American philosopher, translator, and poet. 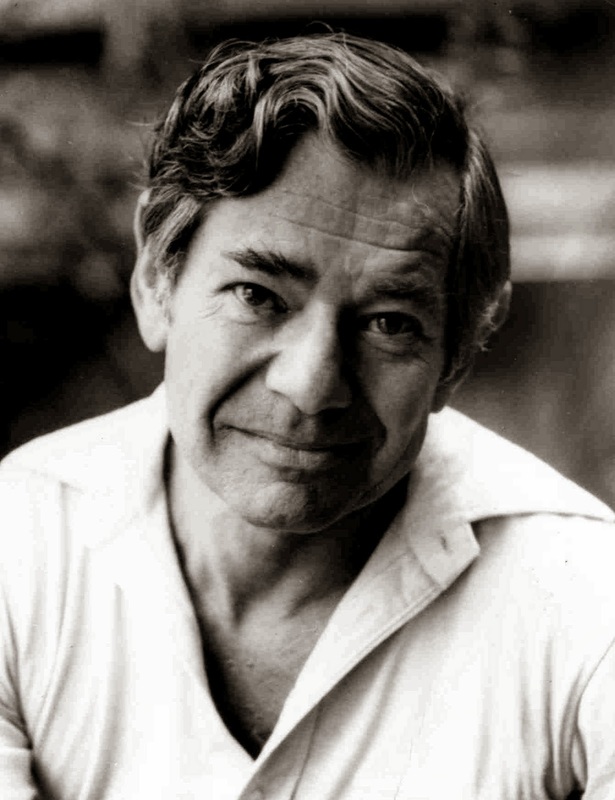 A prolific author, he wrote extensively on a broad range of subjects, such as authenticity and death, moral philosophy and existentialism, theism and atheism, Christianity and Judaism, as well as philosophy and literature. He served for over 30 years as a Professor at Princeton University. He is renowned as a scholar and translator of Nietzsche. He also wrote a 1965 book on Hegel. Second, in order to finance the Nietzsche Archiv, Elisabeth used Nietzsche's prophetic and radical philosophy to appeal to her preferred political party. We must therefore ask if Nietzsche's theories can be considered to be a foundation for Hitler's 'Mein Kampf' ? Hitler's explicit condemnations of the 'slave race', his statements about the Aryan elite, and his proposed Darwinist resolution, as well as Hitler's relationship to Elisabeth Förster-Nietzsche and Richard Wagner signal a definite connection to Nietzsche's work. Nietzsche's philosophy did not reach the National Socialists untainted by tendentious interpretation. Elisabeth had asked her mother to transfer the property rights and guardianship of the incapacitated Nietzsche in 1895. Elisabeth became her brother's "chief advocate", with exclusive rights to his work. Undoubtedly, Elisabeth, laid the groundwork for Nietzsche to be interpreted in a literal Darwinist. Through her editing, Nietzsche's these aspects of Nietzsche's philosophy had been emphasised. Evidence that Nietzsche's work was viewed as anti-Semitic can be found in a letter Nietzsche wrote to Elisabeth, concerning her affiliation with the anti-Semitic movement leader, Bernard Förster. Bernard Förster was a prominent leader of the German anti-Semitic movement, who's racial and anti-Semitic views were received second hand from Wagner. Bernhard Förster (March 31, 1843–June 3, 1889) was a nineteenth-century German teacher. He was married to Elisabeth Förster-Nietzsche, the sister of the philosopher Friedrich Nietzsche. 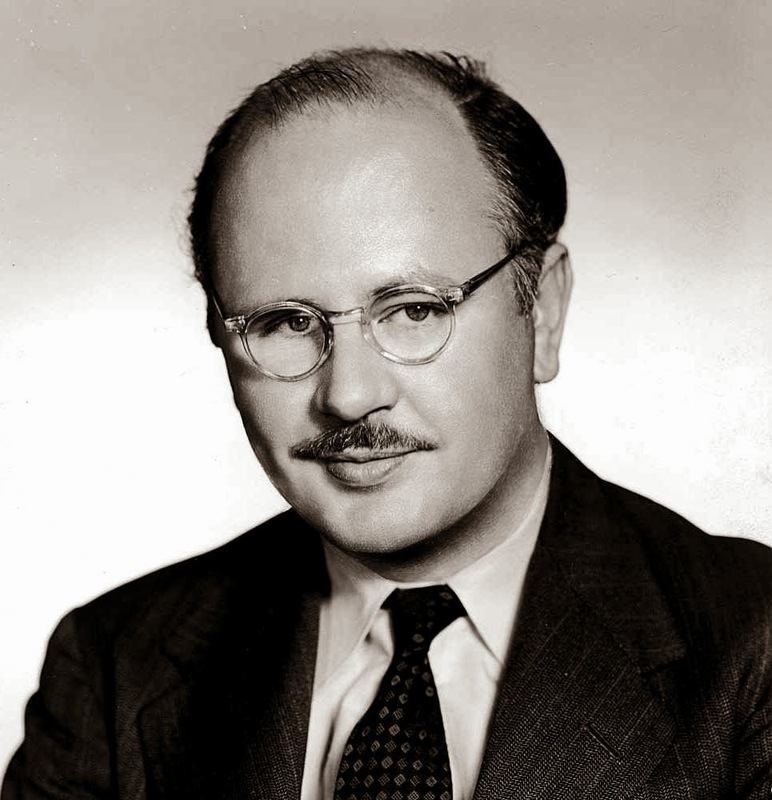 Förster became a leading figure in the anti-Semitic faction on the far right of German politics, and wrote on the Jewish question, characterizing Jews as constituting a "parasite on the German body". In order to support his beliefs he set up the Deutscher Volksverein (German People's League) in 1881 with Max Liebermann von Sonnenberg. Förster and Elisabeth married in 1885, which prompted Elisabeth to build emphasise the anti-Semitic bias in her brother's work. Elisabeth's control of Nietzsche's writings was possible by her "monopolizing of the manuscript material," allowing her to withhold (perhaps wisely) 'Ecce Homo' from publication until 1908, and to publish selections from Nietzsche's 1880s notebooks as 'Der Wille zur Macht' - (The Will to Power) in 1901. 'Der Wille zur Macht' is a book of notes drawn from the literary remains (or Nachlass) of Friedrich Nietzsche by his sister Elisabeth Förster-Nietzsche and Heinrich Köselitz ("Peter Gast"). 'The Will to Power' is also the title of a work that Nietzsche himself had considered writing. The first German edition, containing 483 sections, published in 1901, was edited by Köselitz, Ernst Horneffer, and August Horneffer, under Elisabeth's direction. This version was superseded in 1906 by an expanded second edition containing 1067 sections. This later compilation is what has come to be commonly known as 'Der Wille zur Macht'. The content of 'Ecce Homo' was doubtlessly withheld because to some extent it evidenced the decline of Nietzsche's critical faculties, and the early development of his incipient insanity. 'Ecce Homo: Wie man wird, was man ist' (How One Becomes What One Is) is the last complete book written by philosopher Friedrich Nietzsche before his final years of insanity that lasted until his death in 1900. It was written in 1888 and was not published until 1908. The book contains several chapters with self-laudatory titles, such as "Why I Am So Wise", "Why I Am So Clever", "Why I Write Such Good Books" and "Why I Am a Destiny". Throughout the course of the book, Nietzsche expounds - in the characteristically hyperbolic style, found in his later period (1886–1888), upon his life as a child, his tastes as an individual, and his vision for humanity. The book is signed "Dionysus versus the Crucified", which clearly indicates the beginnings of Nietzsche's insanity. Nietzsche's conception of the Übermensch – as different from man as man is from the ape – might in any case have supplied a Darwin-conscious age with a convenient symbol for its own faith in progress. The development, however, was aided and abetted by her Elisabeth's publication of 'Ecce Homo', which contains a denunciation of this interpretation. The withholding of 'Ecce Homo' was partly responsible for the formation of the "legend of Nietzsche" because it deprived readers of the intended context. A book that Elisabeth published to further develop Nietzsche's intentions was 'The Will to Power', and was credited as possibly being Nietzsche's 'magnum opus'. The book's publication as 'Nietzsche's final and systematic work' blurred the distinction between his works and his notes … which created the impression that the aphorisms in Nietzsche's books are of a kind with these his notes. With chapters emphasizing the importance of breeding, and the need to exterminate the weak, and aspect of Nietzsche's philosophy became the overcoming of the physically and racially inferior. In addition to editing Nietzsche's books, Elisabeth wrote introductions to Nietzsche's various works, which established her own interpretation as the authoritative one. Her interpretation could hardly be questioned because she was the guardian of yet unpublished material – and had a precise memory for what her brother had said to her in conversation. 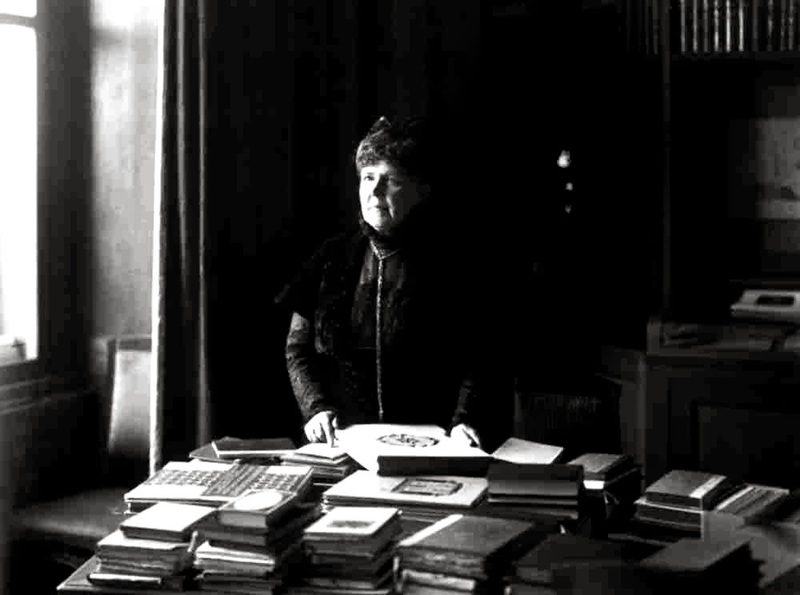 Elisabeth's involvement in politics was encouraged as an attempt to resolve the financial difficulties experienced by the Nietzsche archive. Elizabeth was rightly determined that the Archiv should be made financially secure. She needed a permanent patron, someone who could ensure the future of the Archive. She chose the National Socialists. Elisabeth's friendship first began with Wilhelm Frick, a National Socialist representative, and close associate of Adolf Hitler, who showed interest in preserving the Archiv. Elisabeth wrote in a letter thanking Frick for his support: "I understand what Herr Hitler has found in Nietzsche – and that is the heroic cast of mind which we need so desperately"
"If my brother had ever met Hitler his greatest wish would have been fulfilled…What I like most about Hitler is his simplicity and naturalness…I admire him utterly". Over the course of Elisabeth and Hitler's friendship, Hitler visited the Nietzsche Archive seven times. Although Hitler's visits to the Nietzsche archive document his interest in Nietzsche, did that interest originate before he began writing 'Mein Kampf' in 1925 ? A historical figure who linked Hitler's and Nietzsche's philosophies was Richard Wagner (1813-1883). 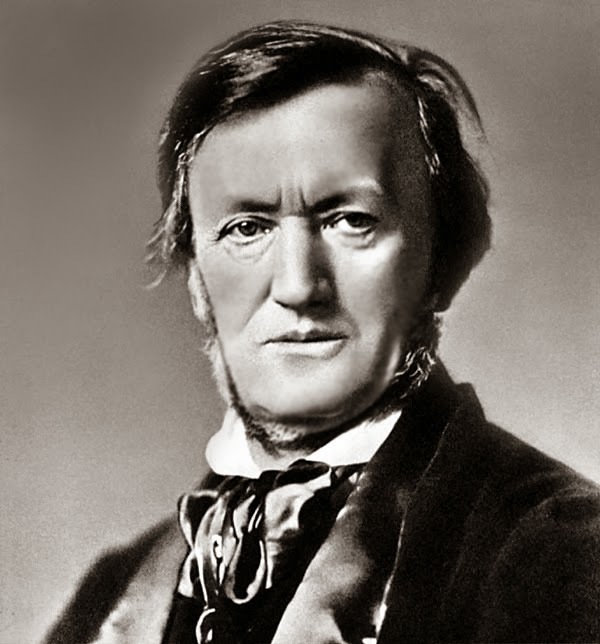 In 'Mein Kampf', Hitler wrote of his admiration for Richard Wagner, the great 19th century German opera composer. Wagner has been seen by many to be one of the intellectual precursors of thought that led to National Socialism. Wagner had a profound impact on Hitler, who wrote in 'Mein Kampf'. Wagner's music, and later his racist and ethnocentric ideology evidently appealed to Hitler. Wilhelm Richard Wagner (22 May 1813 – 13 February 1883) was a German composer, theatre director, polemicist, and conductor who is primarily known for his "music dramas". Unlike most opera composers, Wagner wrote both the libretto and the music for each of his stage works. Initially establishing his reputation as a composer of works in the romantic vein of Weber and Meyerbeer, Wagner revolutionised opera through his concept of the Gesamtkunstwerk ("total work of art"), by which he sought to synthesise the poetic, visual, musical and dramatic arts, with music subsidiary to drama, and which was announced in a series of essays between 1849 and 1852. Wagner realised these ideas most fully in the first half of the four-opera cycle Der Ring des Nibelungen (The Ring of the Nibelung) and in his final masterpiece 'Parsifal'. Wagner's impact on National Socialism was profound, which justifies Hitler's statement that "to understand National Socialism one must first know Wagner". For Nietzsche, Wagner was "Germany's greatest living creative genius", and showed that "greatness and genuine creation were still possible". 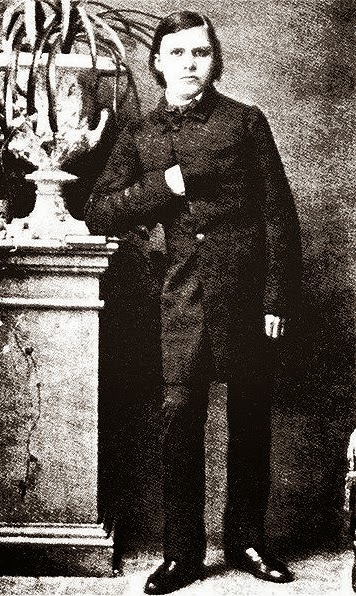 Wagner was a "father substitute" for Nietzsche, who lost his father at the age of four in 1848. In the posthumously published 'Ecce Homo' (1908), Nietzsche wrote of his admiration for Wagner as a revolutionary and composer, who ventured outside the norms of music to create and explore dangerous fascinations. Nietzsche once described Wagner as "the great benefactor of my life". The friendship between the two men, however, for very 'personal' reasons, deteriorated, and finally broke in 1882. Although Nietzsche split with Wagner socially, Elisabeth never accepted the break. In a response to a letter from Hitler, Elisabeth summarized her exploits: "The most difficult task of my life began, the task which, as my brother said, characterized my type - i.e., 'reconciling opposites'". Elisabeth's reconciliation of Nietzsche's work with Wagner's prior to the Third Reich provided the criteria Hitler would have taken interest in. 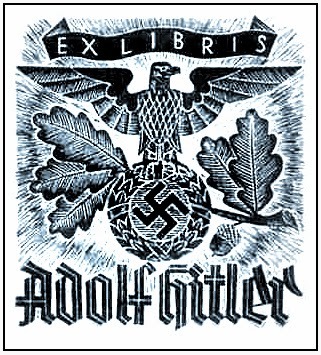 Hitler's early interest in Wagner's work, and attraction to Elisabeth's Nietzsche Archiv suggests that Hitler must have undoubtedly read some of Nietzsche's works. The plausibility of Hitler's early interest in Nietzsche becomes more evident when Nietzsche and Hitler's ideological concepts are juxtaposed. The concepts and terminology Nietzsche used were not the only similar to Hitler's philosophy, but also the ardent language involved in his polemics against contemporary morality. Nietzsche's radical use of the terms: 'sick', 'healthy', 'strong', 'weak', and 'species' are significant. Nietzsche's "sick man", who is a part of a "species" that is characterized by its "purity of the heart" and "beautiful souls" is undoubtedly a reference to adherents of the Judeo-Christian ethic. Being that Nietzsche was Lutheran, (his father was a Lutheran pastor, and in light of the prevalence of anti-Semitism throughout Europe, it is therefore reasonable to interpret this passage as an attack on Judaism. The Jews' "crooked path" as a means for gaining superiority and "tyranny over the healthy" clearly parallels Hitler's accusation that the Jews cleverly created democracy and Marxism. Moreover, the term "lying abortion" asserts these Jews do not deserve to live. It was Nietzsche's language that flared the imagination of the National Socialists by making all possible actions conceivable. Nietzsche's vocabulary and sensibility constitutes an important, if not the only, long-term enabling precondition of radical elements in National Socialism. Nietzsche's language is indeed violent and excessive, but not un-calculated, careless or irresponsible. It was the violent language that described the slave revolt, and the Jews, that instigated the National Socialists adoption of Nietzsche's literature. In Nietzsche's and Hitler's works, a fundamental concept is the clash between the "whole man" and "half man." Similar terms that are oriented around this concept are: 'the Jew', 'blood poisoning', 'spiritual convictions', and the 'blond beast'. These terms define both Nietzsche and Hitler's determinants and restraints to achieving a new order, in addition to the clash between "whole men" and "half men." Nietzsche refers to the "whole man" and "half man" mostly as 'master morality' (whole men) and 'slave morality' (half men). 'Noble morality' was the belief that the majority of human beings are led by insatiable, human desires, and it is the noble's obligation to instil fear in order to protect civilization from a state of anarchy and chaos. Nietzsche described the 'nobles' as seeing the majority of mankind as contemptible and ignorant, and themselves as the protectors of all that is good. On the other hand, 'slave morality' was the belief that the majority of human beings are good, and it is the nobles who are oppressive and vicious, thus contemptible beings. "The revolt of the slaves in morals begins in the very principle of resentment becoming creative and giving birth to values – a resentment experienced by creatures who, deprived as they are of the proper outlet of action, are forced to find their compensation in an imaginary revenge" (Nietzsche, Genealogy III 10). Thus it is through values that slaves make nobles feel resentment towards themselves, and it is the slaves who prevent mankind from reaching its potential. Slave and noble morality differ from master morality because they do not operate in the interest of self-preservation. In 'The Will to Power', Nietzsche described the resulting "mediocrity" as a seducer, which he defined as "liberal" (Nietzsche, Will, 864). The strong have come to see themselves as contemptible, causing them to be weak and indecisive, hence their "mediocrity." This liberal perspective provides the clever slaves with an advantage over the strong, who thus reject their own strengths as ugly and subhuman. Both Hitler and Nietzsche refer to the clever slaves as the Jews. – that it was, in fact, with the Jews that the revolt of the slaves begins in the sphere of morals; that revolt which has behind it a history of two millennia, and which at the present day has only moved out of our sight, because it has achieved victory. It is easier to understand the Judeo-Christian ethic, in respect to Nietzsche, as a mirror with which the slaves use to make the masters feel guilty and self-hating. By making the master empathize with the Slave, the master resents the qualities that make him strong, that is, actions that are in the interest of self-preservation. Nietzsche identifies the slave with the Jew because they are responsible for the existence of the Judeo-Christian ethic. 'The most unbeautiful thing there can be in human life is and remains the yoke of slavery. Or do these decadents view the present lot of the German people as 'aesthetic' ? Hitler describes Jews as slaves in the same sense as Nietzsche. Hitler points to "slavery" as the ugliest aspect of human life in the past and present, while linking the Jews and their influence (i.e. "cultural perfume") to the deterioration of values, which is manifest in the "decadents." Hitler describes the product of the cultural perfume as the "whole man" and "half man," which are terms used to describe individuals motivated by self-preservation, as opposed to those whose individual guilt is ridden by morality, seeking to help others. 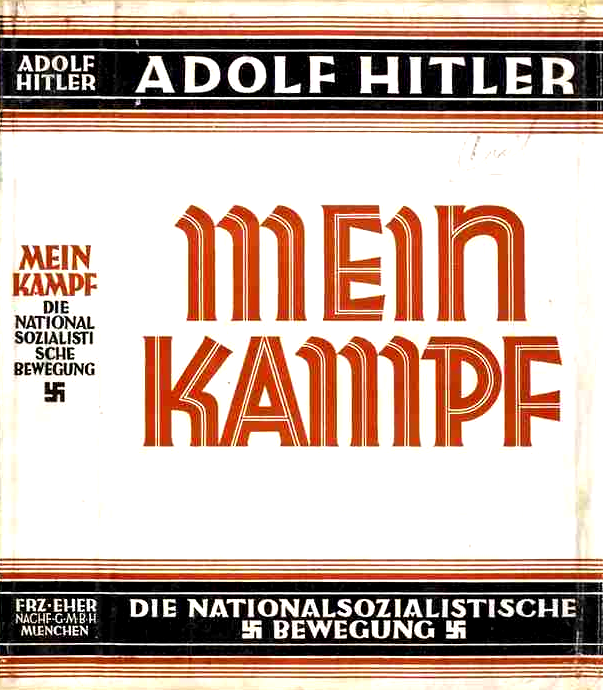 Hitler's use of the "weak and half-hearted" appears frequently throughout 'Mein Kampf', often in conjunction with Jews, or the influence of the Jewish conspiracy. For example, Hitler accused the Jews of being responsible for both democracy and Marxism, the two forms of government founded to appease the collective over the strong individual. The ineffectiveness of Weimar's democracy, and the threat of Bolsheviks following World War I provided the context with which Hitler saw them clash as weak, irreconcilable ideologies designed to profit Jews (Hitler 173f). For Nietzsche and Hitler, the Judeo-Christian ethic caused an individual to split himself into two opposing forces: the interest of the collective (i.e. "half man" or slave morality) and the interest of self-preservation (i.e. "whole man" or master morality). The dominating force makes an individual either confident and strong, or guild-ridden and indecisive. For both Nietzsche and Hitler, the latter prevailed throughout Europe. Nietzsche's use of the phrase "blood poisoning" to describe the effect of the Judeo-Christian ethic is similarly stressed by Hitler. 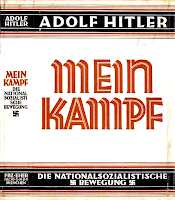 In multiple sections of Mein Kampf, including: "Consequence of Jew Egotism," the "Sham Culture of the Jew," "The Jew a Parasite," "Jewish Religious Doctrine," "Development of Jewry," and many others, Hitler accused the Jewish people as belonging to a race that lacked any culture and manipulated others to get the strength to survive (Hitler, 301). And because they are a primitive herd, they are limited in their impulses to surpass the "individual's naked sense of self-preservation" through self-sacrifice (Hitler, 301). With their blood they contaminate the higher races, and weaken the culture of the Aryan race: The Jew "poisons the blood of others, but preserves his own," and being aware of his ability to degenerate the high nobility, the Jew "systematically carries on this mode of 'disarming' the intellectual leader class of his racial adversaries. In order to mask his activity and lull his victims, however, he talks more and more of the equality of all men without regard to race and color" (Hitler, 316). Hitler wrote that men did not die from wars, but rather from the lack of resistance created by pure blood; and it was blood mixture that caused the deterioration of culture (Hitler, 296). As a foundation for resolution to the deterioration of culture, both Hitler and Nietzsche argued the essential need of spirituality. Hitler argued: "For, once the actual and spiritual conqueror lost himself in the blood of the subjected people, the fuel for the torch of human progress was lost! Just as, through the blood of the former masters … they shine through all the returned barbarism…" (Hitler, 292). 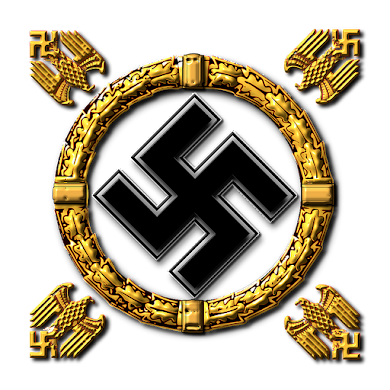 The Aryan 'conquering spirituality' was a pivotal aspect of the figure, and introduced the importance of spiritual convictions. Nietzsche argued that an individual must have a spiritual conviction if the individual is to have independence, and reach a status of greatness. The use of violence was essential for the realization of Hitler's ideology. While Nietzsche's opinions of slave morality and noble morality are resolved by self-overcoming, Hitler's resolution is in alienating the manifestations of slavery (i.e. Jews) and removing them. A symbol of greatness and raw human potential are used similarly in 'Mein Kampf' and Nietzsche's works: the idea of the blond beast. The blond beast was a man who was unrestrained by values, and therefore had never experienced resentment, which was constructed by the weak for revenge against the strong. For Nietzsche, the slave's values have labelled the impulses of man as evil, and thus the slave has glorified passivity. "Complete men … exuberant with strength, and consequently necessarily energetic, they were too wise to dissociate happiness from action – activity becomes in their minds necessarily counted as happiness." Nietzsche's "complete man," synonymous with Hitler's "whole man," represents a version of the "blond beast," or "beast of prey," who returned to the wilderness to free himself from the peace of society. Nietzsche associated the "magnificent blond brute" with the Greek, Roman and Germanic, nobility, who were all "rampant for spoil and victory." Nietzsche's 'blond beast', which becomes associated primarily with Germans, when it resurfaces as the "blond Teuton beast," is mankind's hope to reach its full potential (Nietzsche, 'The Genealogy of Moral's, III 10). However, unrestrained impulses are likely to lead to destruction, which Nietzsche acknowledges as a trade-off. Nietzsche defended such destruction by arguing that it is better to be afraid of the impulsive brute than surrounded by the immune, "the dwarfed, the stunted, and envenomed" (Nietzsche, 'The Genealogy of Morals', III 10). In other words, Nietzsche argued it is better to chance the occurrence of destruction than castrate man's impulsive nature. Hitler's 'blond beast' represents the Aryan master race, which he calls the 'Aryan Conqueror'. 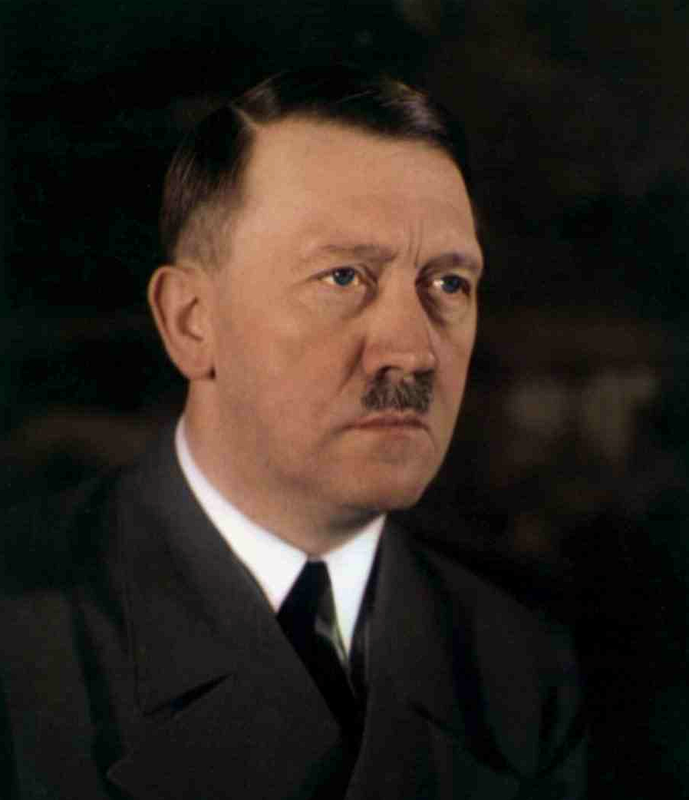 Hitler believed the pure Aryan Conqueror was responsible for all human culture (Hitler, 290). 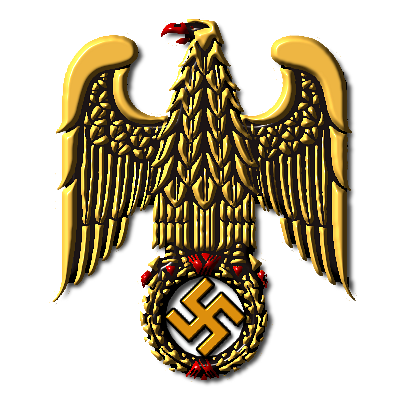 Through the principle of resentment the Aryan race fell from its glory, tricked and poisoned by the clever Jew. 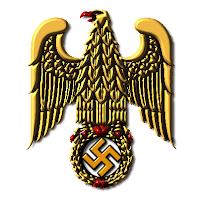 Hitler's idea of the Jewish conspiracy is a case of the Jews using the principle of resentment on the Aryan race through democracy, Marxism, and blood poisoning. Before its undermining, the blue eyed, blond Aryan conqueror was believed to have acted in the interest of his own self-preservation; and thereby attained the status of master through his blood and subjugation of weaker races (Hitler, 296). He was a "whole man" who could successfully achieve high culture and happiness. Hitler described "the weakness and half-heartedness of the power taken in old Germany" as a terrifying sign of decay from this master ancestor (Hitler, 257). Hitler believed the "whole man," the Aryan conqueror, was to inherit the world: "If the power to fight for one's own health is no longer present, the right to live in this world of struggle ends. This world belongs to the forceful 'whole' man and not to the weak 'half' man" (Hitler, 257). Through his interest in self-preservation Hitler prophesied that the Aryan conqueror would return high culture to the earth (Hitler, 297). Nietzsche and Hitler shared beliefs in transvaluation, interest of self-preservation, and prophesies of an age of barbarism followed by a new order of blond conquerors, or supermen. Nietzsche also discussed the concept of the "soul" by using the terminology "lambs" and "birds of prey" to symbolize the slaves and nobles (Genealogy, III 10). He argued the soul was the source of identification for the slave because it suggested there was a universal commonality – that all human beings are equal. This idea corrupted action in the interest of self-preservation, which had now been defined as an attack on fellow brethren. Nietzsche was nauseated by this and expressed the belief that the soul "has perhaps proved itself the best dogma in the world simply because it rendered possible to the horde of mortal, weak, and oppressed individuals of every kind…the interpretation of weakness as freedom, of being this, or that, as merit" (Genealogy III 10). By glorifying the blond beast, Nietzsche illustrated his disgust with the concept of universal equality and democracy. Consistent with Nietzsche's condemnation of identification with the weak, Hitler believed that democracy and equality, while praised in America and Europe, were constrictive and degenerative. "social activity must never and on no account be directed toward philanthropic flim-flam, but rather toward the elimination of the basic deficiencies in the organization of our economic and cultural life that must – or at all events can – lead to the degeneration of the individual" (Hitler, 30). In place of Nietzsche's 'blond beast', Hitler identified the blond, blue-eyed Aryan race as the embodiment of high culture, overshadowing the weak and slavish roots of democracy. The fact that Nietzsche's 'blond beast', and Hitler's 'blond Aryan conqueror', shared a dislike for democracy does not suggest a relationship. Especially considering the ineffectiveness of the Weimar democratic system, which Hitler experienced first-hand, however, the similar terminology begs the issue of causality to be further assessed. While the slave moralities clash, Nietzsche prophesied that a new morality would form and harness the human "will to power," and this man will be the 'Übermensch'. "Man is beast and super-beast; the higher human is inhuman and superhuman: these belong together. With every increase of greatness and height in man, there is also an increase in depth and terribleness" ('Will to Power', 1027). Nietzsche justified terror with the belief that it would bring a higher state for mankind. Nietzsche's prophecy calls for a master to maintain beasts of prey through breeding and 'transvaluation', which was essentially Hitler's course of action following his appointment to chancellor. "A daring and ruler race is building itself up…the aim should be to prepare a transvaluation of values for a particular strong kind of man, most highly gifted in intellect and will. This man and the elite around him will become 'lords of the earth'" (Shirer, 101f). Such writings from one of Germany's most original minds must have struck a responsive chord in Hitler's mind. At any rate he appropriated them for his own – not only the thoughts but often his very words. 'Lords of the Earth' is a familiar expression in 'Mein Kampf'. In 'Mein Kampf', Hitler also emphasized the importance of questioning values, and the necessary terror to transform the blood-poisoned state of Germany into an Aryan utopia. Hitler wrote, "Only when an epoch ceases to be haunted by the shadows of its own consciousness of guilt will it achieve the inner calm and outward strength brutally and ruthlessly to prune off the wild shoots and tear out the weeds" (Hitler, 30). If Hitler's 'Mein Kampf' was inspired by Nietzsche's works, the 'brutality' Hitler referred to is the terribleness which Nietzsche described; it is the necessary destruction to refine the masses. The resolution of the slave's disease (i.e. 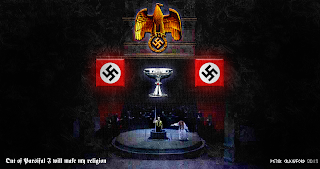 Judeo-Christian ethic and blood poisoning) was implied by both Hitler and Nietzsche. Hitler believed in the possibility of the pacifistic-humane ideal "when the highest type of man has previously conquered and subjected the world to an extent that makes him the sole ruler of the earth" (Hitler, 288). Consistent with this thought, removal of the 'slave' was essential. To fight the weight of diseased and weak human beings, Hitler sought to ruthlessly apply "Nature's stern and rigid laws" (Hitler, 289). His philosophy was "Those who want to live, let them fight, and those who do not want to fight in this world of eternal struggle do not deserve to live" (Hitler, 289). In 'The Will to Power', a number of aphorisms present solutions to the decadence of Europe and the World. In aphorism 862, Nietzsche proposes a doctrine of breeding. 'A doctrine is needed powerful enough to work as a breeding agent: strengthening the strong, paralysing and destructive for the world weary...decaying races. By juxtaposing Hitler's work and Nietzsche's, the groundwork of 'Mein Kampf' is clearly a literal interpretation of Nietzsche's work. The underlying themes in Nietzsche and Hitler's philosophies are the importance of impulses and action for self-preservation, the danger of the clever Jew (i.e. the slave who has re-evaluated strong as 'evil' and weak as 'good'), and the prophesy of a new type of man that will question the Jewish values and return the glory of the blond beast. Although Nietzsche's reference to slaves and masters are references to personified moralities, the themes and language are strikingly consistent with the language and terminology used by Hitler in 'Mein Kampf'. Nietzsche's close relationship with Richard Wagner, Elisabeth's reconciliation of Nietzsche's work with Wagner's racist ideology, and Hitler's praise of Wagner's work suggests that Hitler almost certainly read Nietzsche's work. 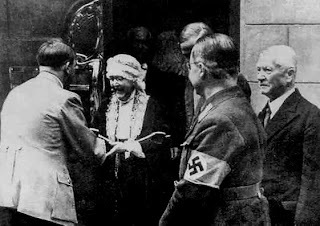 Elisabeth's political involvement with National Socialism, and Hitler's multiple visits to the Nietzsche archive suggest Hitler's direct awareness and interest in Nietzsche's philosophy. And finally, the radical content and similar terminology used by Nietzsche and Hitler implies that Nietzsche's influence in 20th century Germany almost certainly extended to the Führer. 'A state which in this age of racial poisoning dedicates itself to the care of its best racial elements must some day become lord of the earth.